Located in the Northern Beaches of Sydney, the Eastbrooke Belrose Family Practice is a well-established medical centre that provides a comprehensive range of health and medical services to the local community. Our team of professional male and female GPs include Dr Monica Goldsmith, Dr Derek Hadwen, Dr Helen Pacey and Dr Christel Romano. Together they provide a clinical spectrum of medical services across all facets of general medicine including women’s health, gynaecological examinations, antenatal care, paediatrics, children’s health, cryotherapy, cosmetic medicine, aged care, men’s health and chronic disease management. Dr Goldsmith also participates in the Northern Beaches Shared Antenatal Care Program, and can assist in Antenatal Care for women who wish to attend their local hospital as a public obstetric patient. Additional services include Health Assessments, Diabetic Cycle of Care Monitoring, Insurance/RTA Medicals, INR blood tests for the monitoring of Warfarin levels and onsite pathology collection. Our Belrose medical centre is open from Monday to Saturday and appointments can be made by calling (02) 9452 5082. Appointments are usually made for 15 minute intervals. Longer consultation times are available, so please ask our friendly receptionists if you require extra time. Same day appointments are best made between 8.30am and 9.30am to ensure you can be fitted in on the day. Ample street parking is available in close proximity to our medical centre in Belrose or alternatively in the Glenrose Village Shopping Centre. Dr Romano graduated from Sydney University in 1991 and completed her GP training in 1999 and Family Planning Certificate in 1996. 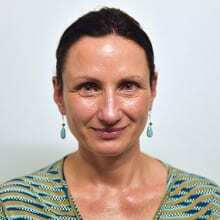 She has also worked in Peadiatrics’ at Mona Vale Hospital and in the UK from 1996 to 2002. Dr Romano is available every Tuesday and Saturday’s on a rotating roster. 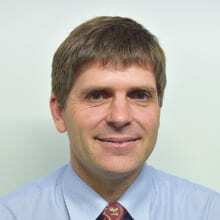 Dr Hadwen trained in General Practice, has extensive hospital experience including Mona Vale Hospital Emergency Department and Gosford Private Hospital Rehabilitation Unit, and was a Senior Medical Officer with the Australian Red Cross Blood Service. He is a Fellow of the Royal Australian College of General Practitioners and has a Diploma of Child Health. Dr Hadwen is available on Monday, Tuesday, Thursday and Fridays as well as Saturday’s on a rotating roster. Dr Pacey graduated from Sydney University in 1986. Helen trained and worked as a resident at RNSH. She furthered her post grad study at RAH for Children, and completed the family medicine program training. Dr Pacey is available on Monday, Wednesday and Thursday from 8.30am as well as Saturday’s on a rotating roster. Dr Goldsmith graduated from UNSW in 1984. Monica worked as a resident at St Vincent’s Hospital and the Royal Hospital for Women. She has completed the Family Medicine Program, Family Planning Course and obtained a diploma in Obstetrics. Dr Goldsmith has a special interest in women’s health and does shared antenatal care with Mona Vale Hospital. Dr Goldsmith is available on Monday, Wednesday and Friday from 9am, as well as Saturday’s on a rotating roster. Victoria has returned to Sydney (where she grew up in the north) with her 19 year old daughter after 30 years away (Melbourne, Hong Kong, Singapore and Western Australia). She is delighted to join us as a committed part of our team. 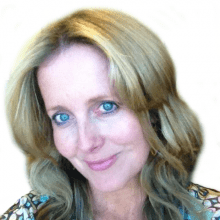 She loves all aspects of general practice – kids and adults, with particular interest in travel, preventative health and grief counselling. She loves tennis, yoga and her dog! Natasha is a Specialist Paediatrician and Fellow of the Royal Australasian College of Physicians. She graduated from the University of Auckland and has enjoyed the diversity of working in both rural and metropolitan settings while completing her training in Paediatrics. She has also completed a fellowship year in paediatric pain. 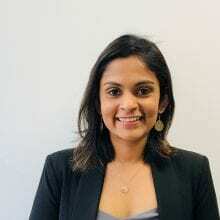 As a paediatrician, Natasha is passionate about helping families with settling and sleeping issues in newborns as well as managing complex medical issues in children. She also has a particular focus and current experience in behavioural and developmental difficulties affecting children and young people. Natasha believes in using evidence-based best practice. Natasha prioritises a family centred approach when caring for her patients.